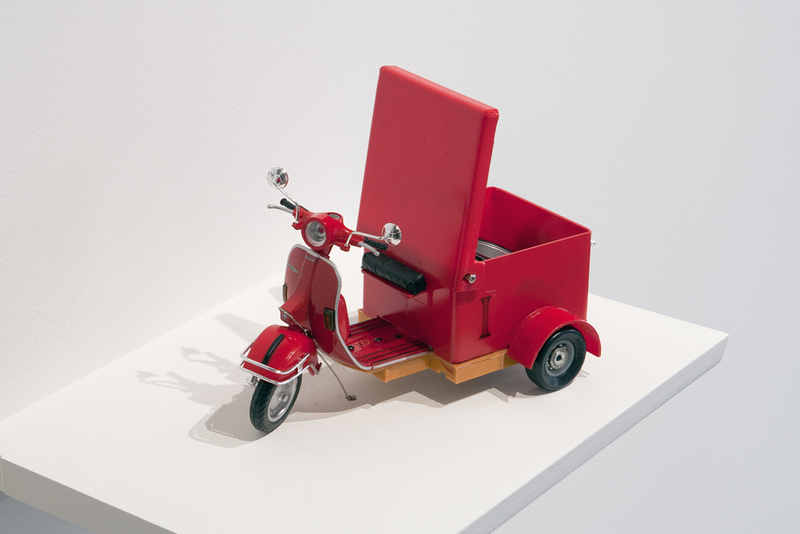 Utilizing both sculpture and photography, the work of Stan Denniston is centred around themes of travel, memory, and representation. 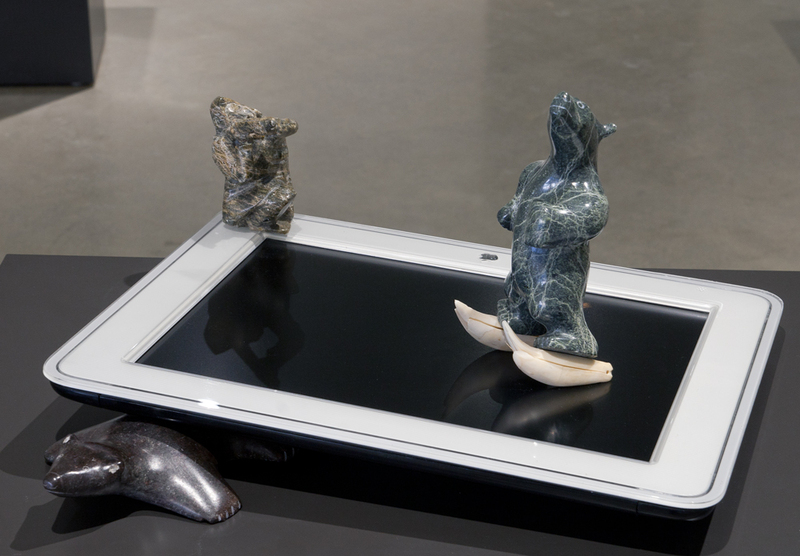 Alongside his art practice he has worked as a restorer of Inuit art for over 35 years. 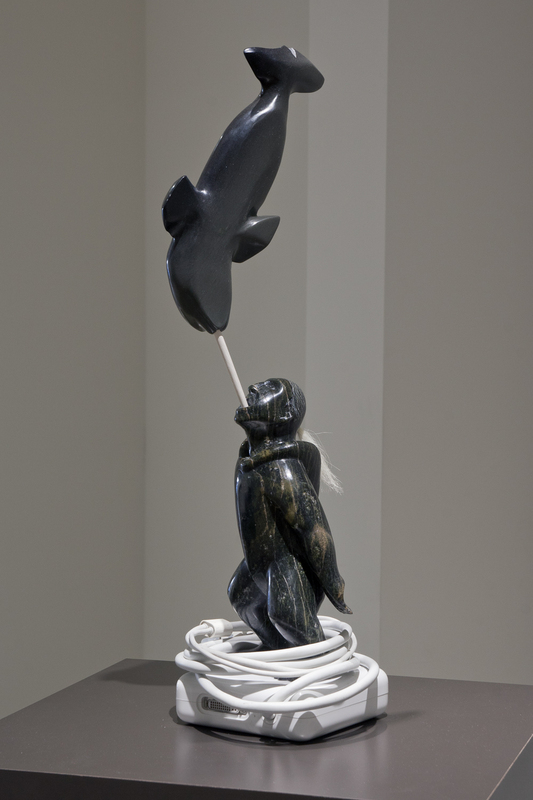 Over the span of his career he has accumulated a considerable number of damaged and/or abandoned Inuit carvings. These objects were produced as a consumer good for Inuit economic development, an action established by the Canadian government in the 1940s. 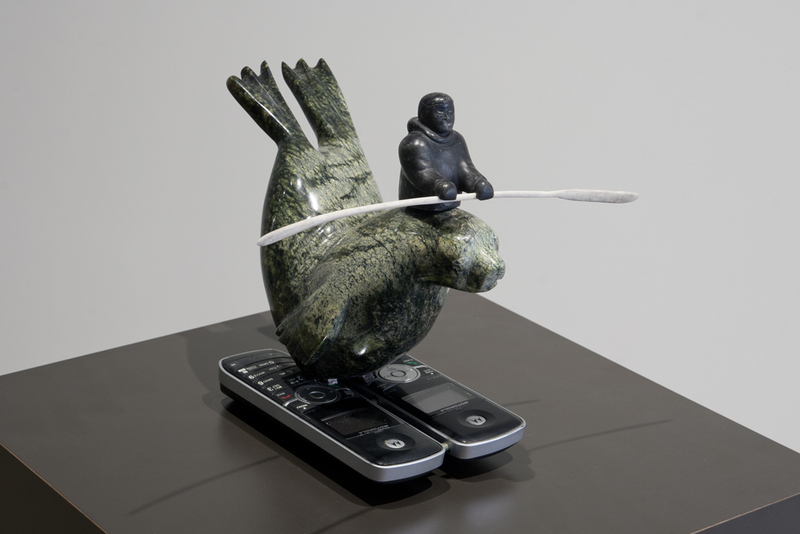 The selection of sculptures included in mashups are made from "collaging" these Inuit art carvings with objects of technology that have been discarded from his studio and daily life. The work of Wyn Geleynse raises questions about self and identity, commenting on the human condition with a subtle blend of irony and humanity. An ongoing interest of the artist is the notion of film projection as a metaphor for projecting one's thoughts and desires. 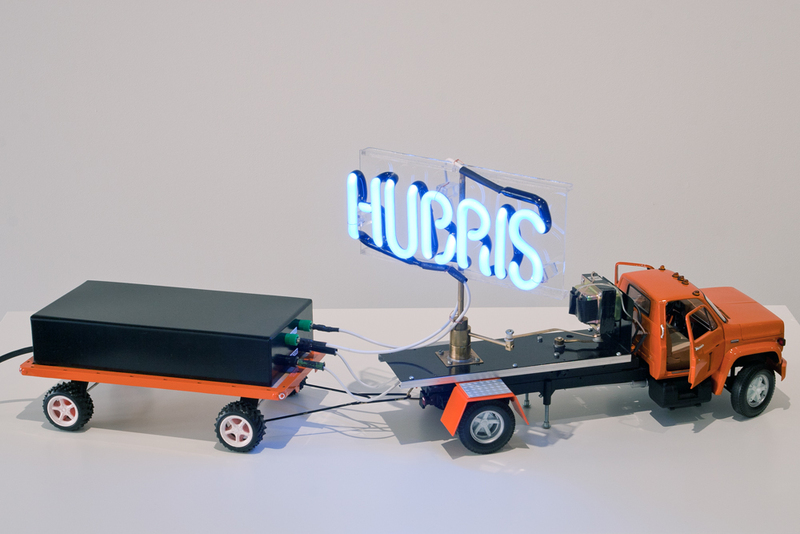 The sculptures in sendups have been selected from a series titled, City Service Trucks. 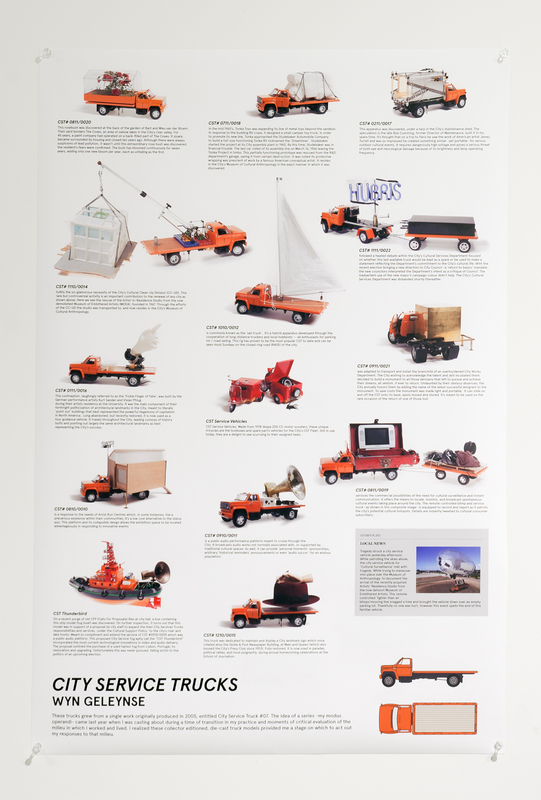 These works combine model trucks with objects which are found or hand crafted. 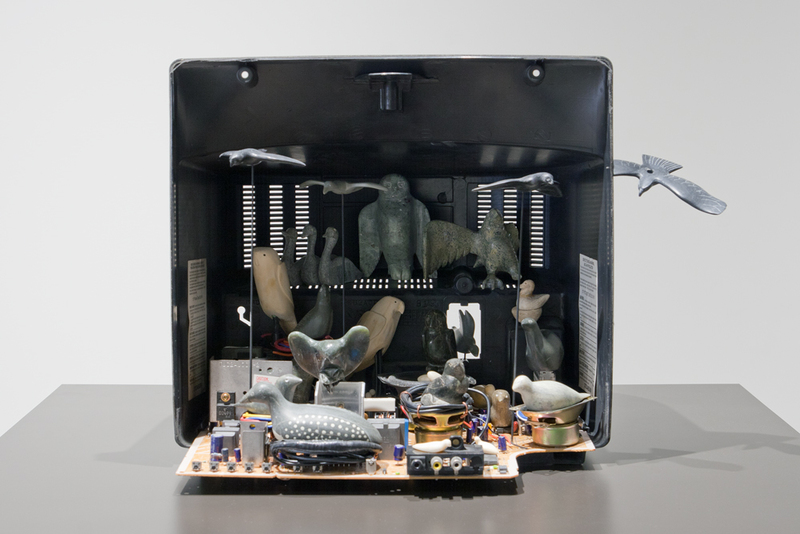 Each sculpture reflects the artist's personal view and experience of "The City" such as city maintenance, public surveillance, tourism, and the role of art institutions. 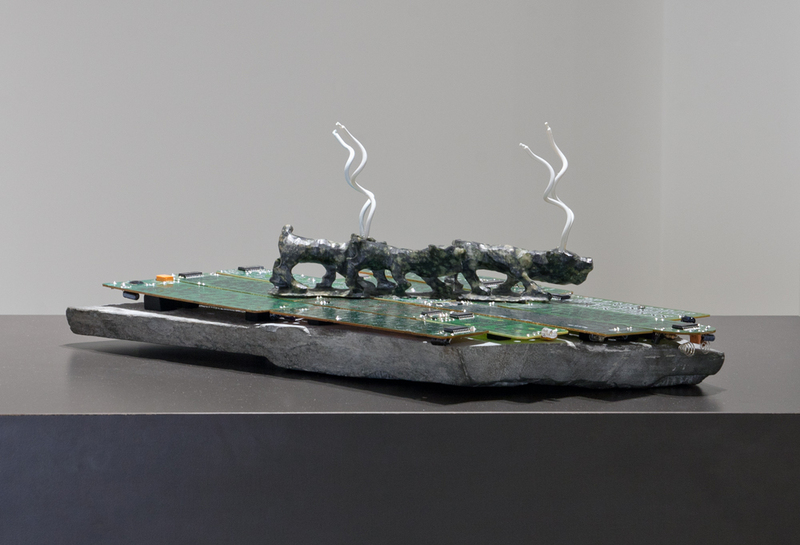 Stan Denniston and Wyn Geleynse both work with found or discarded objects with an underling thread of technology, however the conceptual and political nature of each body of work follows a disparate trajectory. 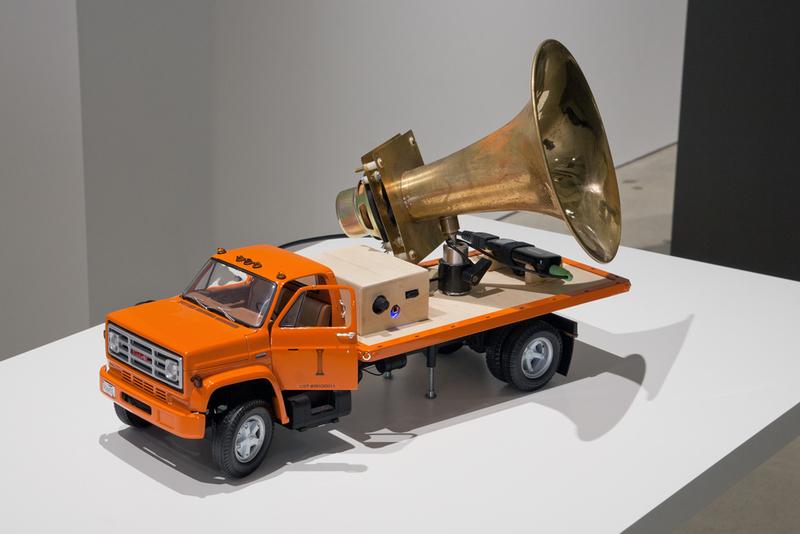 Parallel to the idea of a mashup and sendup, both a collage and a pun, the collision of these works in the same space creates an arena for questions and possibilities. Stan Denniston lives and works in Toronto and is represented by Olga Korper Gallery. His work has been shown in both public and private collections including: Contemporary Museum of Canadian Photography, Art Gallery of Ontario, Canada Council Art Bank, Museum London, and Oakville Galleries, and The National Gallery of Canada. Wyn Geleynse is a multimedia artist living and working in London. He is represented by Katzman Contemporary and Trepanier Baer Gallery. Since 1969, he has exhibited extensively both in Canada and Europe. He is considered one of Canada's pioneer film and video projection artists.